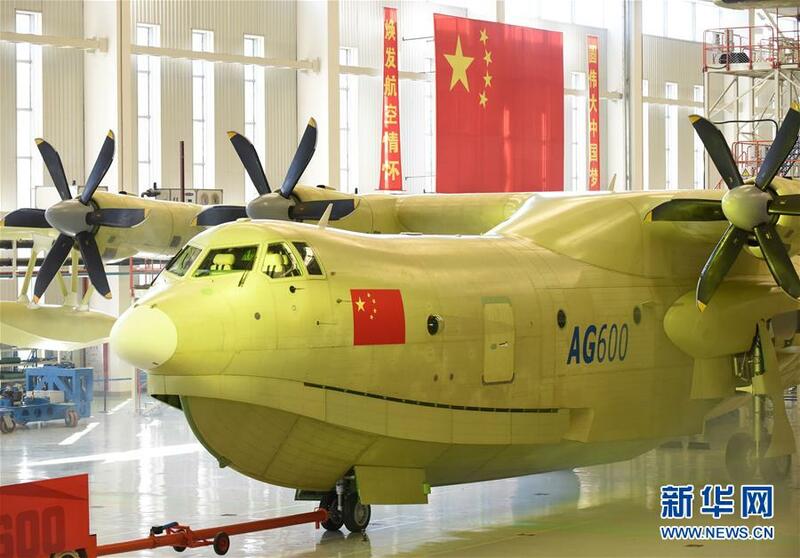 China launched its first home-grown amphibious aircraft AG600 earlier Saturday. Being the largest of its kind in the world, the AG600 possesses a maximum take-off weight of over 53 tons, and an operational range of 4,500 kilometers. Being the largest of its kind in the world, the AG600 possesses a maximum take-off weight of over 53 tons, and an operational range of 4,500 kilometers. It is capable of landing and taking off either from an airport or on the sea. Its manufacturer said the plane will be used to support firefighters and maritime rescuers. It will make its maiden flight at the end of this year. "From Sanya to the southernmost point of the South China Sea, we used to travel by boat. Even the fastest boat takes a week to travel such a long distance. With the seaplane, we can make it within three hours. That's a leap forward for the country's rescue capability and also a milestone for China's aviation industry," said Song Qingguo, general manager of China Aviation Industry General Aircraft Co., ltd.